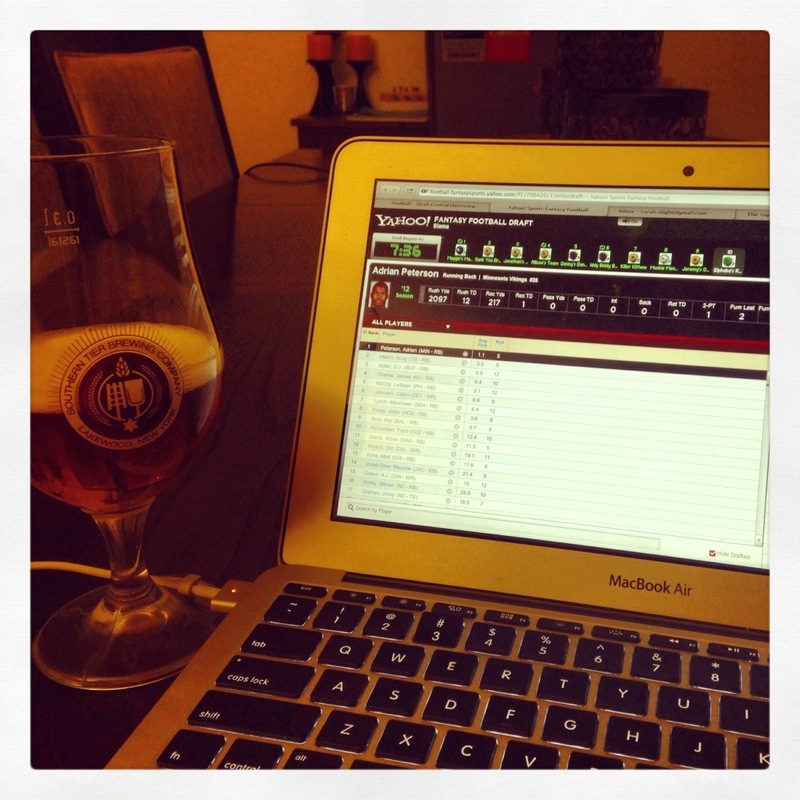 First fantasy football draft. Check. Tonight, friends from many different parts of my life (family, high school, old job, grad school, etc) convened online to form the fantasy football league, Slama. Ten people took just under one hour to draft all 15 rounds of players. I’m pretty happy with my team, though I did get a little stressed out since I had last pick (though that did mean I went twice in row each time, which was pretty useful).